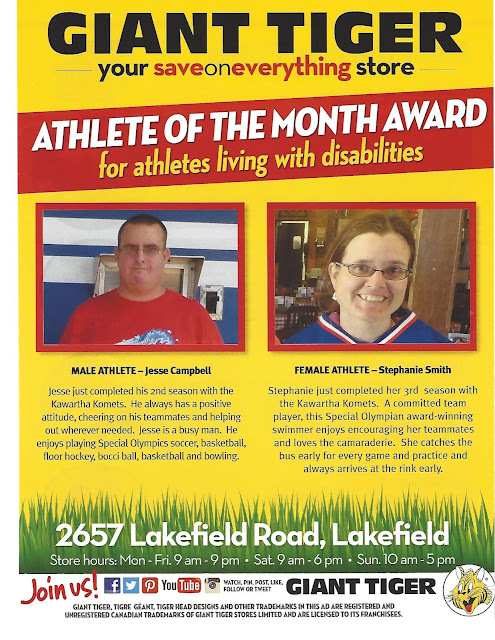 Two of our Kawartha Komets players have been selected as the Giant Tiger Athletes of the Month. This regular feature in the Peterborough Sports Xpress magazine honours Jesse Campbell and Stephanie Smith. We are excited to see these two special individuals get the accolades they so rightly deserve.